While the Affordable Care Act (ACA), better known as ObamaCare, is 906 pages long, tens of thousands of pages of regulations have been added since the law was first enacted. Love it or hate it, the ACA still remains the law of the land, so it’s smart to understand how the ACA impacts your life and finances. 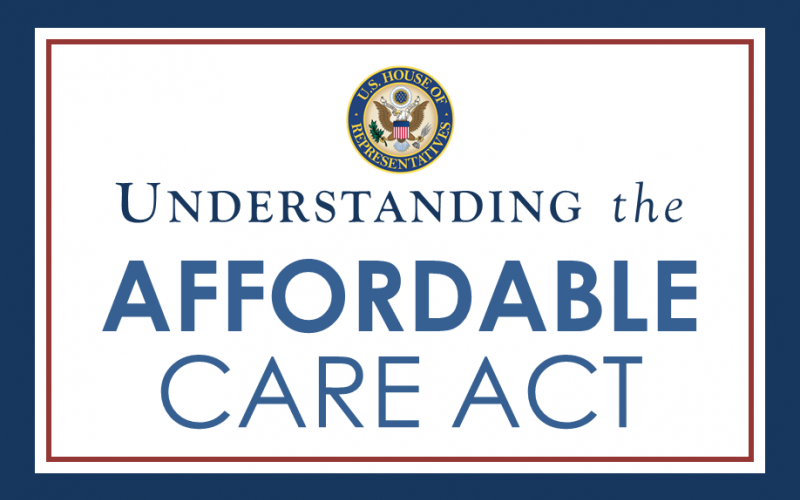 ACA regulations changes how and when we get health insurance and what it will cost. Below are the answers to questions most frequently asked by our clients across Colorado. Has the ACA/ObamaCare been repealed? No, the efforts to “Repeal and Replace” ObamaCare failed. Is Health Insurance is Required by Law? What Are the Penalties for Not Having Health Insurance? The ACA continued to mandate a federal tax penalty for anyone who goes more than 2 consecutive months without minimum essential coverage through the 2018 tax year. However, in 2019 the tax penalty went away. For the tax year 2017 and beyond, the penalty is 2.5% of household income or a flat fee of roughly $695/person ( to be adjusted for inflation), whichever is greater. Looking back, for 2016 the penalty was $695/person or 2.5% of household income. In 2015, the penalties were $325/person or 2% of household income. In 2014 the penalty for not having health insurance was $95/person or 1 percent of household income, whichever was larger. The penalties for not having health insurance in 2014 was capped at $2,448 per person and $12,240 for a family of five. Are There Exceptions to the Requirement to Have Health Insurance? The requirement did not apply to some people who cannot afford coverage – defined as those who would pay more than 8 percent of their household income for their premiums, or to undocumented immigrants, people without insurance for less than three months, people who can’t get insurance for religious reasons, American Indians, Americans living abroad for at least one year and incarcerated individuals. Why not go without insurance and wait until I’m in the hospital to get insurance, since insurers have to cover pre-existing conditions? If you go without insurance, there are a number of safeguards to protect against abuse of the system. Open enrollment is limited to once a year, so if you opt to go without insurance you’ll have to wait until the next open enrollment period. If you happen to need insurance during open enrollment when you apply the coverage is not instantly binding. Coverage begins the first of the month following application, if before the 15th of the month and the first of second month following if after the 15th. So, if someone is in the hospital for a several days one could rack up tens of thousands of dollars in expenses before the health insurance begins. Most people don’t get to choose when they’re injured, have an appendix burst or a heart attack. What are my options after Open Enrollment Closes on January 15th since it Won’t Reopen Until November 1st? After open enrollment closes you can only get health insurance if you have a qualifying event. Qualifying events include things like involuntary loss of insurance coverage, moving to a new coverage area, the birth of a child, etc. Here’s a more comprehensive list of qualifying events. We also have some ACA tax penalty exempt non-insurance plans that are available 12 months of the year. If I Buy My Own Insurance How Much Do ACA Plans Cost? ACA health plan rates are calculated based on age, what region of the state you live in and tobacco use. Your gender, pregnancy status and health history will not be considered in the calculation of rates. Under the ACA, shopping for health insurance is more complex as there are hundreds of guarantee issue plans inside and outside the exchange and many plans for small business inside the exchange. We will help you review and quote all the plans for you, inside and outside the exchange. As always, there is no extra cost or markup for our services. Is it True that My Income Could Impact the Cost of My Premiums? Medicaid should be available to individuals between ages 19 and 64 with monthly incomes up to 138 percent of the federal poverty level. Through ObamaCare you may also be eligible for a Federal Subsidy, which is really a tax credit. The subsidy is generally be available to individuals earning between roughly $16,148 and $48,560 a year, couples earning between about $21,893 and $65,840 a year, and families of four earning between about $33,384 and $100,400 a year. If you qualify, you can use those benefits right away to reduce your out of pocket premium. Keep in mind that because subsidies scale depending upon income, it’s to work with a broker to help you shop the hundreds of insurance plans both inside and outside the exchange to make sure you’re getting the best deal. Some of the plans outside the exchange may have more attractive prices and plan benefits than those inside the exchange. What if I or a Family Member Have a Pre-Existing Condition? No one can be denied health insurance or charged a higher rate because they have a pre-existing condition with ACA compliant health insurance plans. It does not matter whether you purchase plans inside or outside the exchange, the plans are guarantee issue. The only people who can be charged more are tobacco users. How Much Time Do I Have to Make a Decision? What is and When is Open Enrollment? Open enrollment is the normal period of time when you can sign up for ObamaCare health insurance plans. Open enrollment re-opens on November 1st, 2019 and closes on January 15th, 2020. What if I Want to Keep the Insurance I Have Now? Can I Do That? Grandfathered insurance plans that existed on March 23, 2010 are exempted from ObamaCare, so if you have an older Grandfathered plan you can keep that as long as you want. If you get your insurance through work, there’s a good chance that little will change and that you’ll continue to be able to get your insurance through work. What if Something Happens After Then? Can I Still Get Insurance? If you don’t get health insurance during open enrollment you won’t be able to get new health insurance coverage unless there is a Qualifying Event. This includes things like the loss of a job, a move to a new coverage area, the birth of a child, or loss of existing coverage – usually because of marriage, divorce, or turning 26 and no longer being able to stay on a parent’s plan. What if I Get My Insurance Through Work? Will Health Savings Account or HSA Plans Still Be Around Under ObamaCare? Yes, Health Savings Account qualified health insurance plans will still exist both inside and outside Colorado’s health insurance exchange. What if I have a technical question about subsidies? The Department of the Treasury and the IRS issued final regulations which provide guidance for individuals who enroll in qualified health plans through Exchanges and claim the premium tax credit, and for Exchanges that make qualified health plans available to individuals and employers. How Are Brokers Compensated? Do I Pay Anything Extra for Using Colorado Health Insurance Brokers? Brokers are compensated by insurers both inside and outside the exchange at the same level to assure a level playing field for clients. Because health insurance premiums are filed with and regulated by the Colorado Division of Insurance, there is absolutely no extra cost or mark up. Regardless of whether you get a plan through the exchange or outside the exchange rest assured that you’re getting the best available price. The premiums are identical to the penny for the same plan, regardless of if you use Colorado Health Insurance Brokers, another agent or purchase insurance directly from a carrier or through Connect for Health Colorado. Is Colorado Health Insurance Brokers Certified Producers of Connect for Health Colorado? Yes, we were among the very first brokers in Colorado to be certified producers of Connect for Health Colorado. Connect for Health Colorado is a non-profit online marketplace established by the government where people can shop for health insurance and those who are eligible can gain access to federal subsidies. Colorado Health Insurance Brokers are certified producers of Connect for Health Colorado and can help you look at plans both inside and outside the exchange to help you find the best price… and at NO extra cost to you.